Personal invesments expenses are often tax-deductible. 2. 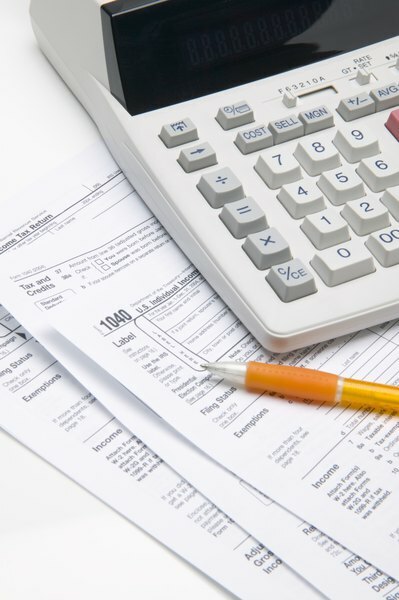 Can You Deduct Fees for Setting Up a Revocable Trust From Your Taxes? Incentive fees you pay to your broker or investment manager often count as a deductible expense at tax time, depending on the type of investment and how you pay the fees. Most investment firms calculate the deductible portion of the fees for you and list them separately on your 1099 forms or on a combined substitute statement. You can claim these expenses as a miscellaneous itemized deduction on Schedule A. Incentive fees are part of a fee-based compensation arrangement, where you pay your investment firm based on the performance of your portfolio rather than on a commission basis. Typically, the firm deducts the fees from your account automatically but, with certain exceptions, still includes the fee amount in your income on your 1099 forms. Deductible investment expenses, including incentive fees, are listed in box 5 of your Forms 1099-DIV and 1099-INT, and box 7 of your Form 1099-OID. Your brokerage firm also may combine these forms on a single substitute form and simply list the deductible amount as investment expenses. To deduct the fees, include them on line 23 of Schedule A, under Job Expenses and Miscellaneous Itemized Deductions. Your deduction is limited to the amount of all your miscellaneous deductions that exceed 2 percent of your adjusted gross income. Other miscellaneous deductions include unreimbursed employee expenses, tax preparation fees and safe deposit box fees. If you're subject to the alternative minimum tax, none of your miscellaneous deductions may count, including your investment fees. Generally, you can only deduct incentive fees and other management fees for investments that produce taxable income. Incentive fees paid in relation to non-taxable investments, such as traditional individual retirement accounts or municipal bonds, don't qualify for the deduction, unless you pay the fees separately. Other investments, such as publicly offered mutual funds, don't qualify for the deduction, because your investment fees have already been subtracted from the gross proceeds reported on your 1099s. Marotta Wealth Management: Are Investment Management Fees Tax Deductible? Are Union Dues Check-Offs Tax Deductible?